Quieter, environmentally-friendly and energy-saving – the intelligent vibration shaker integrated with IMV’s patented ECO technology. The customers Japanese component manufacturer are enthusiastic about the technology. Conventional shakers are noisy, consume a lot of energy and generate high costs. 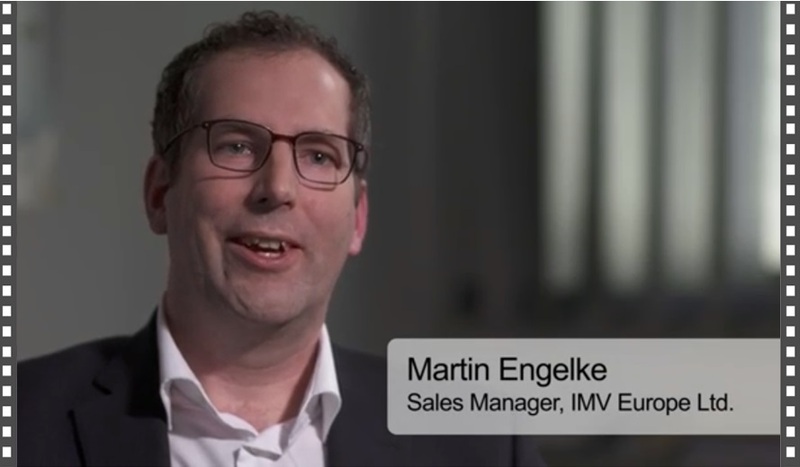 “The solution we have found for us is the ECO shaker from IMV,” says Martin Schlupek, Head of Accredited Test Laboratory, Bertrandt Cologne, in the film. Short film talks about Integrated Shaker Management (ISM) and the advantages of ECO technology. Now IMV Europe is taking a new path. “We have long been looking for a way to present our potential customers the benefits of modern ECO technology in a new way,” said Martin Engelke, Marketing and Sales Manager IMV Europe Ltd.
IMV and Bertrandt Cologne produced this impressive short film, which in two and a half minutes brings the advantages of ECO technology to the point: Quieter, cost-saving and energy-saving thanks to Integrated Shaker Management (ISM). The ISM ensures continuous data from each components involved and the operational reliability of the system. In addition, the data acquisition is carried out automatically in the event of a fault, thus enabling remote diagnosis from IMV specialists. This allows the shaker to get back into normal operation quickly. IMV is the only manufacturer with this patented energy saving. This reduces the operating costs of electrodynamic shakers. At the same time, the ecological balance is significantly improved by avoiding many tonnes of greenhouse gases. The patented savings with the ECO mode is part of a continuous improvement process within the framework of an ISO 50001 certification. The power amplifiers equipped with the ECO mode are also ideally suited for retrofitting as well as for external systems. As a rule, older stranger systems can also be modernized and contribute to energy saving. All data at a glance can be found here.